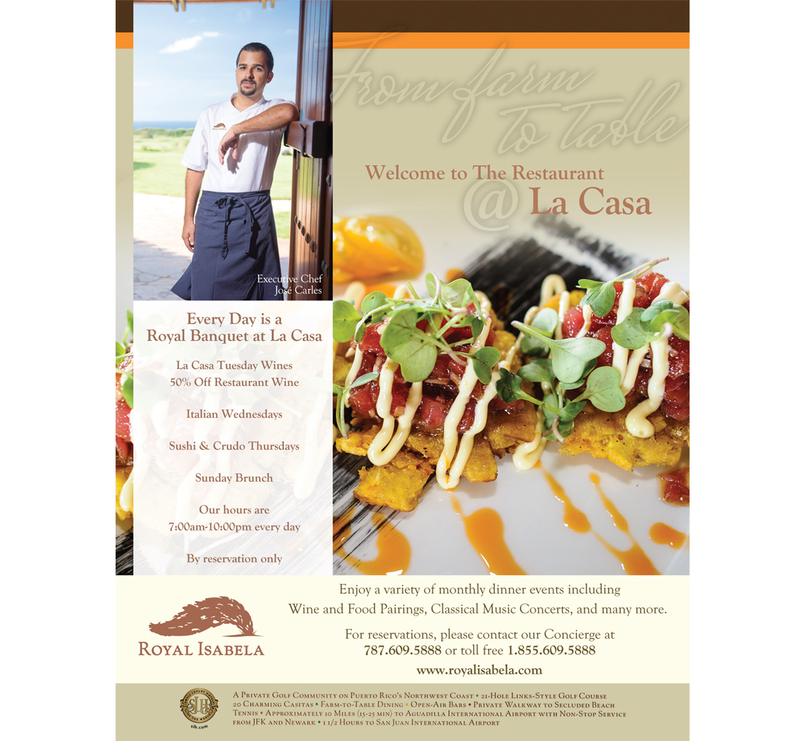 Devoted to the sanctity of the terrains where it grows many of its culinary delights, Royal Isabela is also steadfast in its efforts to ensure the community around the area thrives as well. To this end the resort gives prominence to their farm-to-table fare while supporting the area's economy by always buying local catch-of-the-day and other fresh ingredients, traits we emphasized in the second sample, a restaurant-focused press ad. Sail Caribe is yet another leisure and relaxation-centered prestigious client. 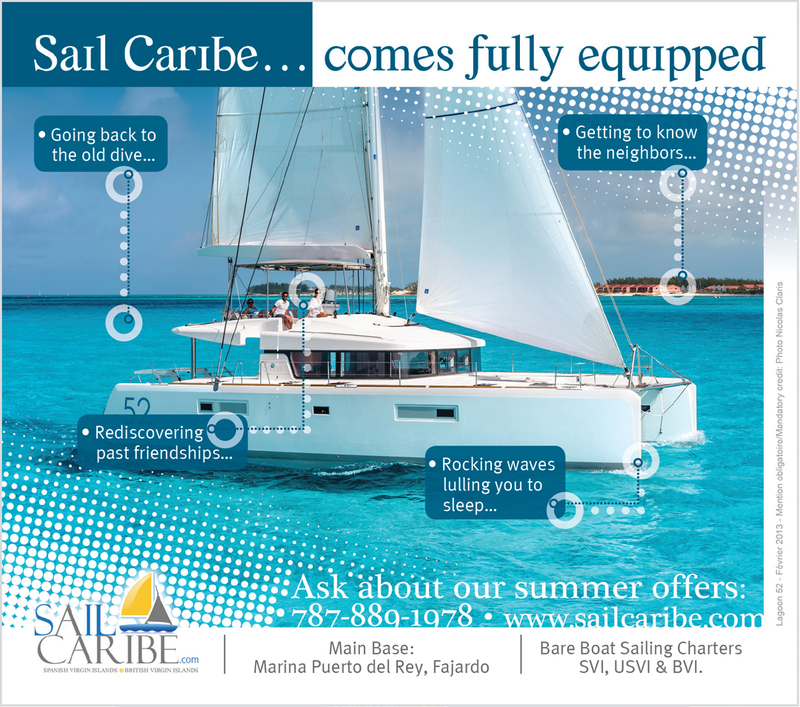 The work sampled shows a press piece from a summer campaign crafted around the concept of “Sail Caribe comes fully equipped” which stressed the completeness of their seasonal long-term sail-boat rental offer. 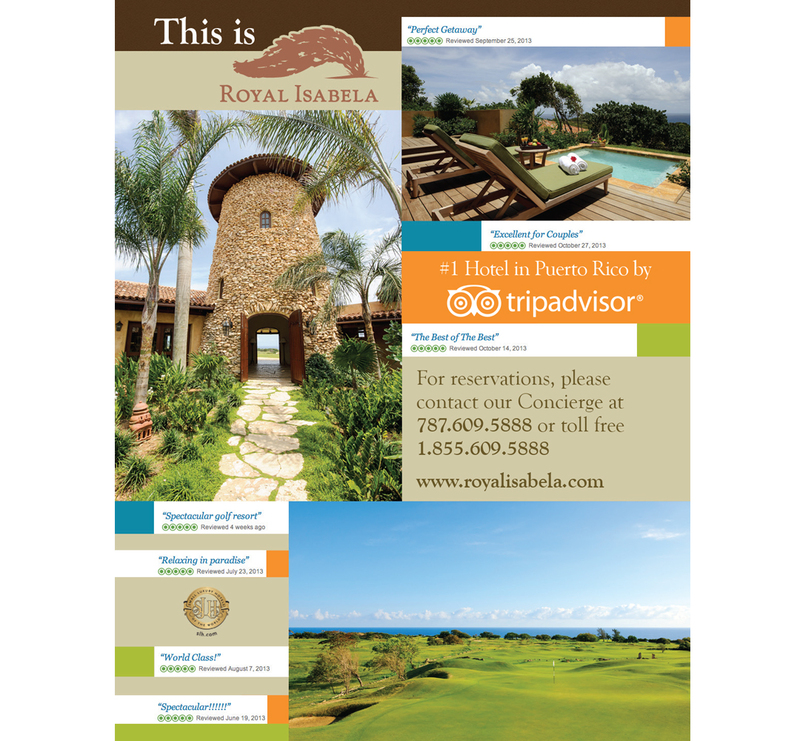 Royal Isabela, a blissful private golf club & resort on the dramatic coastline cliffs of Isabela, PR, is a treasured account as much for its longevity with the agency as for the magnificence of its offering. An exclusive award-winning boutique hotel, where nature, luxury and top-tier service find a balance, their visitors’ reviews in Trip Advisor are consistently eloquent regarding its excellence and we wanted the appraisals to speak for themselves in a press publication.